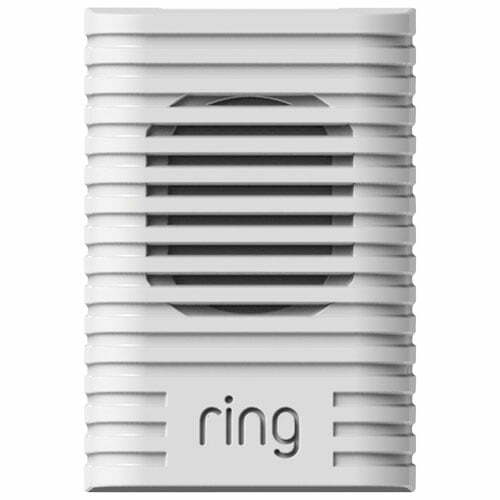 The Ring Wi-Fi Enabled Doorbell Chime plugs into any standard power outlet and works with your Ring Video Doorbell to let you know when you have a visitor even if your phone is in the other room. The Ring Chime plugs into any power outlet and connects to your Wi-Fi network for easily installation. Its volume is customizable through the Ring app. Plug and Play – Plug Chime in, connect it to your wi-fi network, and you’re ready to go. Do Not Disturb – Disable Chime for times when you want peace and quiet. Customize Volume – Set a custom volume in the Ring app so Chime is never too loud or too quiet.